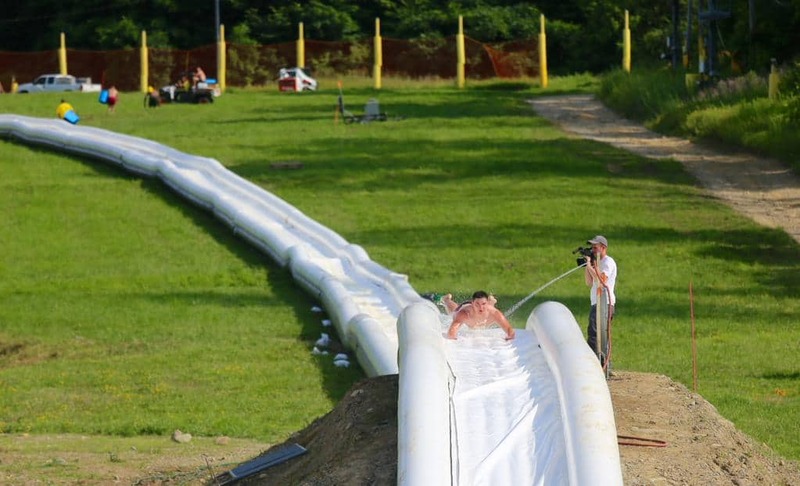 Nothing screams summer like waterslides, and Action Park is one-upping every other water park by attempting to create the “world’s longest waterslide.” That designation isn’t yet confirmed by the Guinness World Records, but at 2,000 feet, the slide has a good chance of winning the title. Built out of the same material used in bounce houses, the slide requires about 1,000 gallons of water every hour to run and a ride on it takes somewhere between 60 and 90 seconds. It’s expected to open to the public in 2016, as the New Jersey Department of Community Affairs has not yet approved it for public use. Action Park owns a reputation for being overly dangerous. Between 1978 and 1996, six visitors died at the park, and, as The New York Post points out, five to 10 park visitors per day in 1987 had to be taken directly to the emergency room from the park. It shut down in the mid-‘90s, then someone bought out and renamed the park. But the park recently re-opened under its old name and with the original owners—albeit now with better safety standards. Hopefully, those safety standards include keeping the new waterslide adequately soaped, because 2,000 feet of waterslide rugburn does not sound like a part of a fun day in the sun.